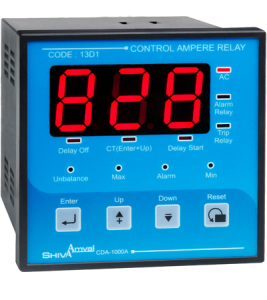 In addition to displaying current, Shiva Amvaj Three-Phase Ampere Control Relay protects three-phase motors against overcurrent, undercurrent, and current asymmetry. 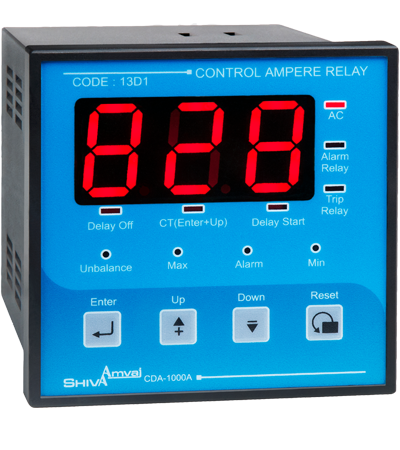 Measures and displays current; protects against overcurrent, undercurrent, and current asymmetry. Note: indicators blink when in adjustment mode. Note: initial start time is the time after starting during which no current increase factors in.